I drew this picture for my old friend Elliot Kaplan, a physicist at the University of Wisconsin, Madison. If anyone I know can answer the timeless question “Magnets, how do they work?” it’s probably Elliot. He currently works with the Madison Dynamo Experiment. My understanding of this is limited by my own feeble brain and not by Elliot’s lucid explanatory skills, but here’s the gist: The earth has a magnetic field. The earth’s mantle is full of circulating molten metal, and its circulation is what generates this field. In Madison they’ve built a large, hollow globe, which they fill with liquid sodium (a convenient approximation of the earth’s mantle, which I think is mostly silicon and magnesium). They blend the sodium around with fans and pass magnetic fields through it, measuring the results. And here’s where I get a little shaky. Lightning crashes and all the scientists start laughing maniacally, God get furious, Galactus shows up hungry, and before you know it the Dynamo kills your wife on your wedding night. Okay, so what’s this have to do with my drawing? Apparently, it’s a tradition for Elliot and his crew to get Chinese food before every run of the experiment. In some cryptic way, the fortune cookie fortunes have so far always predicted the outcome of the day’s run. 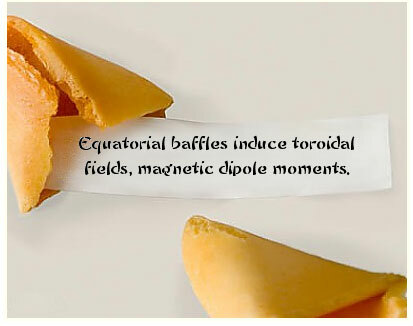 Elliot commissioned a cartoon depicting physicists divining the future from fortune cookies, suggesting that their safety gear would make for good “cultish regalia.” I couldn’t agree more! Art for my own Release Party Flier. I am sort of please with the artwork for this flyer and sort of not. I think I am getting a better and better “knack” for composition. A big help was reading Framed Ink: Drawing and Composition for Visual Storytellers by Marcos Mateu-Mestre. He has truly amazing skills at designing compositions that are clear, pleasing, and intuitively comprehensible, even when depicting complicated action. He also has a somewhat sketchy, digital graywash style that looks so effortless it must be affected. Since “Framed Ink” is mostly geared towards storyboarding, I found myself wanting to design a SNitLoE scene with a short, wide frame like a movie screen. So while I think the composition is basically sound, I have a lot of qualms about the artwork itself. 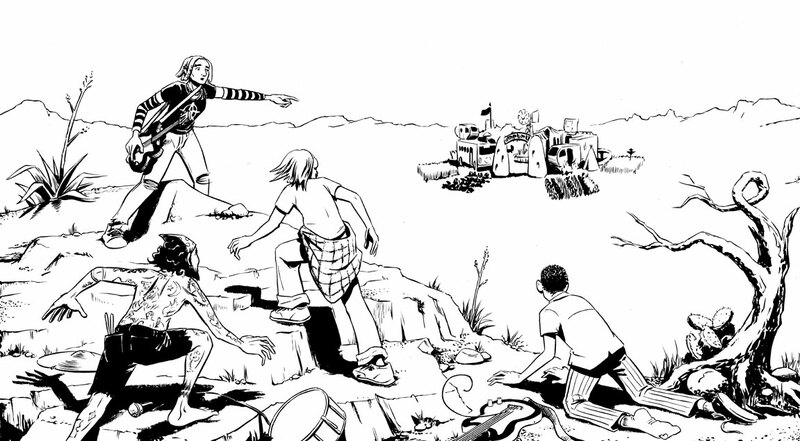 While I’m glad I rendered the desert mountain beyond a simple sandy mass, I think I might have gone too far the other way – the characters, especially Theo, get lost among the jumble of lines in the rocks. Somehow I am not differentiating enough with my inking between “flesh,” “cloth” and “rocks.” The blacks are not well placed. There’s something wrong with pretty much every single hand in the picture, and some of the proportions are way off. Oh well, it’s just for a flyer that’ll probably get torn down anyway! 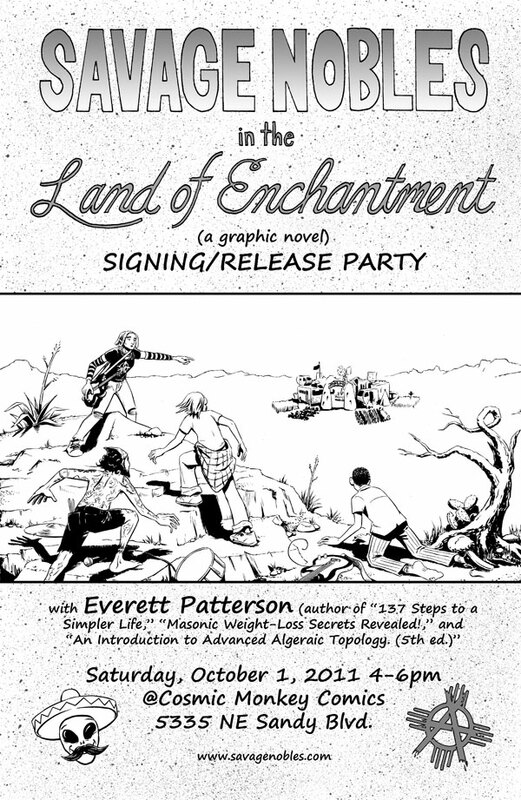 Two things to note: Yes, “algebraic” is misspelled – I corrected it on the finished flyer. 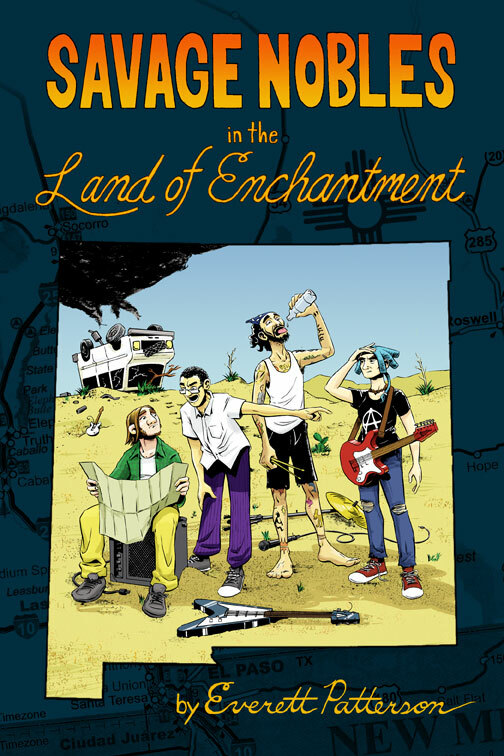 And no, a scene like this never occurs in the actual story – but neither does the scene I drew for the cover of the book. Only Tonya and Greg discover Utopiopolis, and they are not dressed that way when they do. It would have been really cool if Xavier and I were the originators of Ben Franklinstein, but unfortunately that isn’t true. I discovered that people have been mashing these two together for quite some time. There’s even a YA book about the character. Alas, there is nothing new under the sun. It is with great sadness that I’ve decided not to suggest this idea to Dylan Meconis as a potential follow-up to her werewolf/Enlightenment and vampire/French Revolution franchise. The connection between the Franklin and Frankenstein has been explored extensively. The real-life Franklin and the fictional Victor Frankenstein were contemporaries, and both were electrical experimenters. 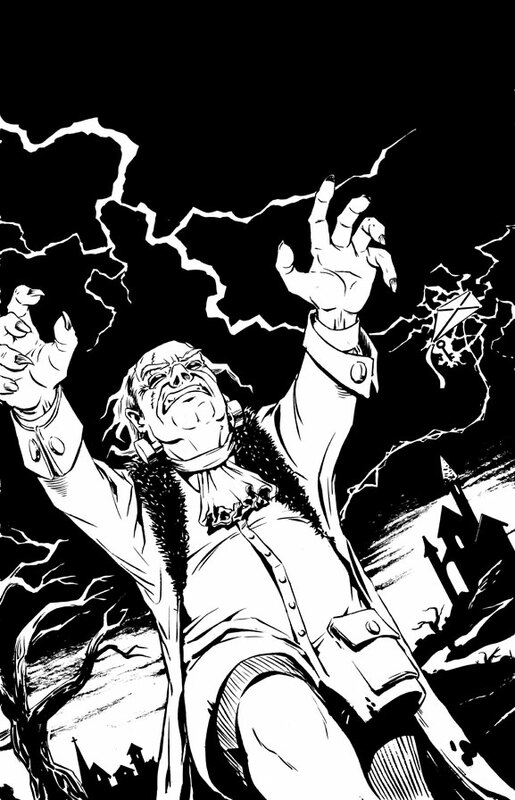 Frankenstein observed a tree shattered by lightning, and Franklin apocryphally flew a kite and a key in a thunderstorm, inspiring movie Frankensteins to release kites, capture lightning and zap monsters to life. Mary Shelley was familiar with Franklin and his experiments. Her mother, Mary Wollstonecraft, was tutored in politics by Dr. Richard Price who supported the American Revolution and corresponded with Franklin. One of her publishers, Joseph Johnson, had released Franklin’s works in London, and her lover, Gilbert Imlay, was American and a Revolutionary fighter. Mary Wollstonecraft’s husband, William Godwin, was influenced by Franklin’s politics and he was a member, as was Franklin, of the scientific Royal Society of London. Mary Shelley’s companion, Percy Bysshe Shelley, studied Franklin and was conversant with electrical experimentation. There is frequently quoted speculation that Mary’s choice of name for her scientist was inspired by, and perhaps even an homage to Franklin, though “Frankenstein” was not a rare name and Mary had almost certainly encountered it in 1814 during her trip down the Rhine and a stopover in the vicinity of Burg Frankenstein. Nevertheless, it is said that Franklin’s electrical experiments were so widely known and notorious that the novel’s original readers, back in 1818, would have easily made the Franklin/Frankenstein connection. 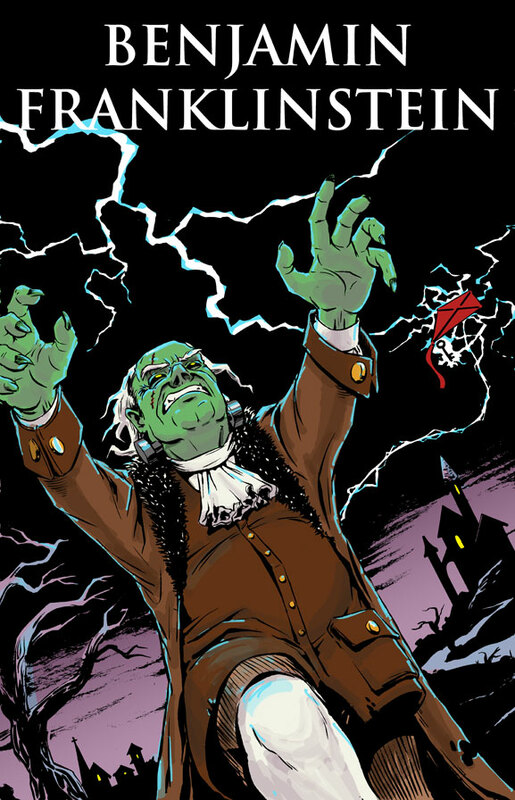 Many scholars have since explored the influence of Benjamin Franklin on Mary Wollstonecraft, William Godwin, Percy and Mary Shelley, and its reflection in Mary famous novel, making Founding Father Benjamin Franklin one of numerous men of science of the era who are thought of as the “real” Frankenstein. Ain’t that fascinatin’? Happy Independoween, everybody!